Here your dreams will touch the sky! 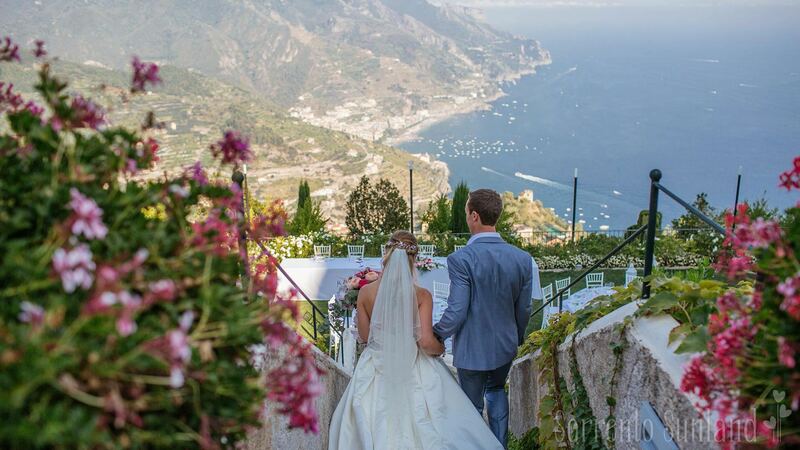 Situated on a rocky spur above Amalfi, Ravello is a charming and refined village with breathtaking views, historic buildings ruins and garden villas –weddings in Ravello are the welcome! 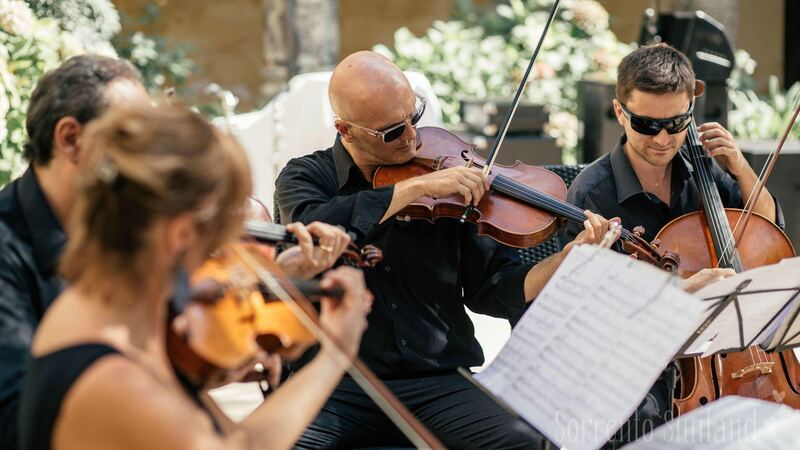 Small enough to discover on foot, strolling around its amazing alleys, it offers intimate and peaceful atmosphere, the same that has inspired several artists through the years and that will definitely help you have your dreamy wedding in Italy! Find YOUR venue, you will soon fall in love and spend your time in dreaming of it!!! Would you like to plan your Day with us? If you desire to meet our wedding planner, please send a message. Thanks. If you desire to meet our wedding planner, please send a message. DISCLOSURE PURSUANT TO ART. 13 OF ITALIAN LEG. DECREE 196/2003 WEBSITE USERS"
Sorrento Sunland" undertakes to protect the confidentiality of the personal details of users of its services. This policy summarises the principles and procedures implemented by "Sorrento Sunland". to handle personal details, and it contains the description of the type of details we collect and the processing they undergo. Any personal details provided will be processed according to the provisions specified herein. "Sorrento Sunland" invites visitors of its website to read the disclosure on the confidentiality of personal details indicated below. Pursuant to the provisions set forth in Italian Legislative Decree 196/2003, "Sorrento Sunland" guarantees the observance of the regulations on the subject of personal data processing. In particular, "Sorrento Sunland" achieves a sufficient level of accuracy of information to minimise the possibility of incorrect data being used, and it undertakes to correct or complete data found to be incorrect or insufficient, in order to ensure the accuracy and correctness of the information. Using this website does not necessarily involve the transmission of information which will enable your identification, such as your name, address, email address, etc. i.e. information defined as “Personal data”. This document and the "Privacy disclosure" must be read and accepted before you send any personal information or fill in any electronic forms on this website. The voluntary transmission of your data via our website indicates that you accept the terms and conditions of our “Privacy disclosure”. "Sorrento Sunland" promotes the respect on the part of its employees and freelance workers who work with the company, of high moral values, of conduct and integrity in their occupational activities, engaging them to ensure the correct use of the personal information and the confidentiality of confidential personal information. Only employees and freelancers specifically authorised by "Sorrento Sunland" can access your personal details; in addition, all freelancers and employees must comply with the provisions set forth herein, as failure to do so will entail the application of disciplinary measures envisaged by law and by collective bargaining. "Sorrento Sunland" has the right to make technical and content amendments to the structure of the website as well as to change the methods of access to the site and to parts of it at its sole discretion. In this document, the expression “personal details” indicates any information which makes it possible to identify a person or a user of the website, such as: name, address, telephone number, email address, etc. The personal details are used as indicated below. Purposes of personal data collection: We only collect the personal details necessary for the purpose for which said details are transmitted by the user. E-mail correspondence: Allows us to answer questions, receive your suggestions and deal with other issues. Furthermore, according to this approval, the Company may send you, via email or another means, commercial information and promotions that may be of interest to you. For the purposes strictly instrumental to the provision of the services you requested, i.e. to answer any questions you have sent, "Sorrento Sunland" will disclose some of your details to others, both to fulfil specific legal obligations as well as to pursue the requests you have made. Your details will not be transferred abroad. • your personal details: name, address, email, etc. • details of your request: new email address, amendment of details, etc. By accepting to provide your personal details, you must be aware of the risks inherent to the transmission of information over the Internet. Access to your personal details is reserved exclusively to employees who request them to do their job. In some cases, the need may arise for your personal details to be disclosed to others, for the sole purposes listed above. "Sorrento Sunland" declares that, unless otherwise specified, the personal details are kept for the amount of time necessary for the purposes of collecting and/or processing the details and are only updated on the explicit request of the party concerned. Surreptitious data collection: The browser of our website transmits to the Web server only the information strictly necessary to establish communication, without using techniques which enable invisible processing of personal details. Cookies: Thanks to our website, we also collect information regarding your computer's navigation of our website. This is possible thanks to so-called cookies, namely small text files which, once transferred onto the hard disk of our visitors' computer, allow us to find out the frequency of your visits and to collect data on the type of navigation performed. However, you can refuse the registering of cookies by the appropriate configuration of your navigation browser. Should the user prefer to disable the cookies in his or her browser, he or she may still access most of our website. 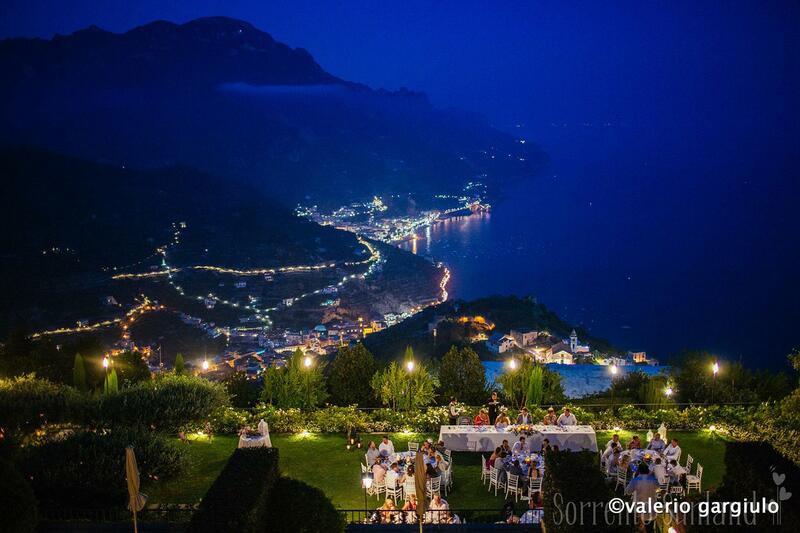 Links to other websites: "Sorrento Sunland" provides links to other websites. Since "Sorrento Sunland" does not control such websites, it is advisable for the user to examine the personal data confidentiality disclosures in said sites as well as all others. 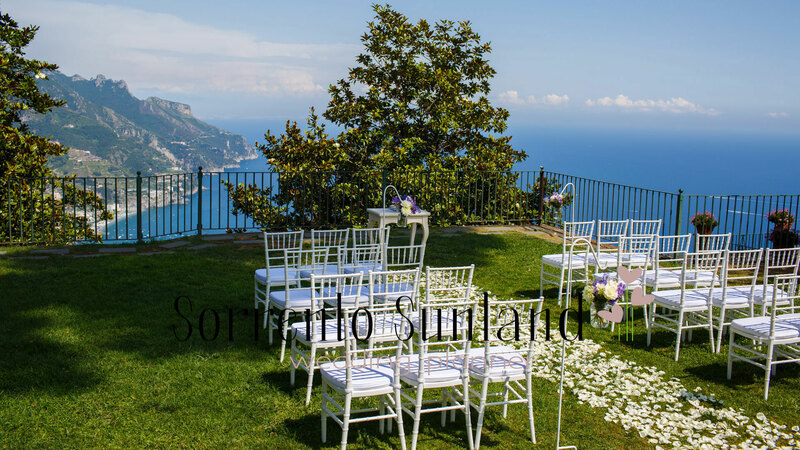 In fact, external sites in some way connected to our website lie outside the liability of "Sorrento Sunland"
A marriage is made up of many details. Choose them all with us.